Nicolas Correa Service, S.A. sold two milling machines at the beginning of this summer, once the NC Service technicians had completed the refurbish work on both machines, a task which lasted a few months. 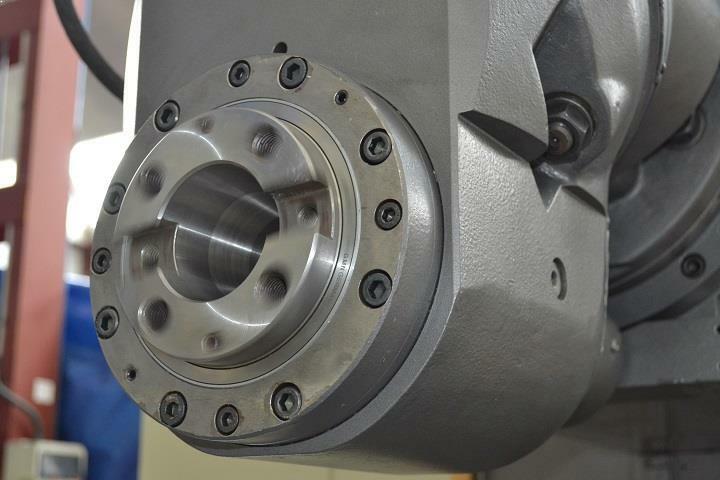 These two fixed bed milling machines feature an extremely robust structure with generously-sized, strongly-ribbed, alloyed cast iron modular components, which give both machines the necessary rigidity for work involving heavy-duty chip removal. Whilst the CORREA A25/25 milling machine, built in 1995, features a friction moving table, the CORREA A30/30, built in 1991, has a table axis equipped with linear ways and recirculating roller pack sliding system for the X axis travel, improving the dynamic performance of the table and making this milling machine much faster, particularly in copying operations. The retrofitting performed by NC Service on both machines was mechanical, with a complete inspection and repair of mechanical components and the milling head; whilst the electronic and control components were dismounted, inspected and/or repaired, before being re-assembled in perfect condition. This is an important stress test with a view to achieving utmost performance reliability. These two retrofitted milling machines are set to provide their users with excellent precision and geometry in their machining work. With regard to destination, on the one hand, the CORREA A25/25 milling machine was purchased by an Estonian company which is part of an industrial group of Finnish origin, operating in ten sites located in Eastern Europe and Finland. This company has applications in the heavy-duty equipment market, primarily assembling machines in addition to producing and machining components for a number of sectors such as energy, mining and construction amongst others, and with the clear mission of providing the very best industrial quality to its customers. Whilst, on the other hand, Poland was the country of destination for the CORREA A30/30 milling machine, which was installed and commissioned by the NC Service technicians in a company which has been engaged in cutting and bending, machining and painting, welding and blasting since 2006. This customer manufactures large-scale components primarily intended for the manufacture of railway tracks, cranes and large freight containers, amongst others. With the purchase of these two retrofitted CORREA milling machines, both customers will be able to achieve greater competitiveness in their corresponding markets, by offering machined products of an exceptional quality.